After completing a coloring page from The Art of Coloring Animals, I turned it into a set of bookmarks! 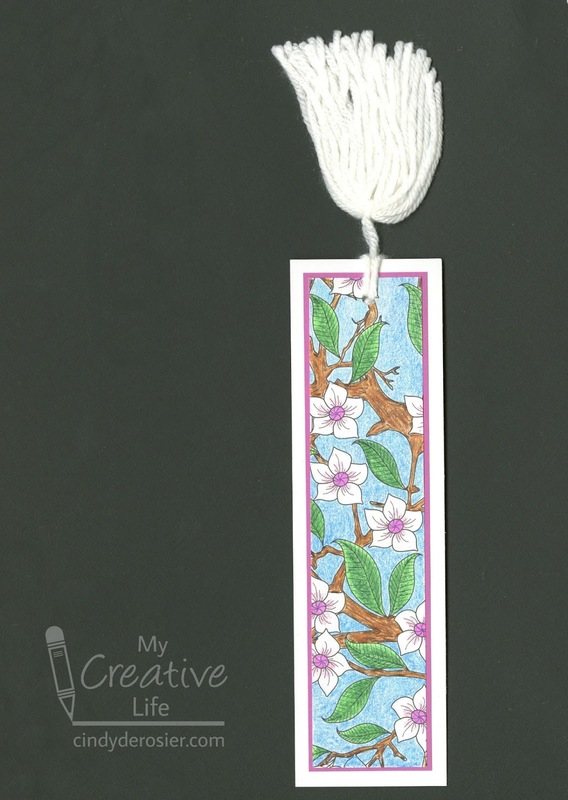 One coloring page can become 6 or more bookmarks. Keep one and give the rest to friends. 1. Complete the coloring page. 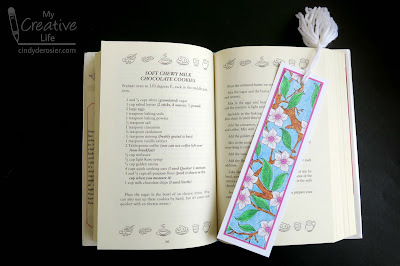 Use the paper trimmer to remove any margins, then cut the trimmed page into bookmarks. The number you get will depend on the size you want, whether the coloring page is directional, and other factors. 2. Select a coordinating color of cardstock that complements the coloring page. Cut it so that it is 1/8" larger in both directions than the trimmed coloring page. Adhere them together. Mat them with another color of cardstock, cut to leave 1/4" margins on each side. Adhere it in place. 3. Punch a hole through the three layers, approximately 1/2" from the top. 4. Use the yarn to make a tassel. (I like these instructions.) 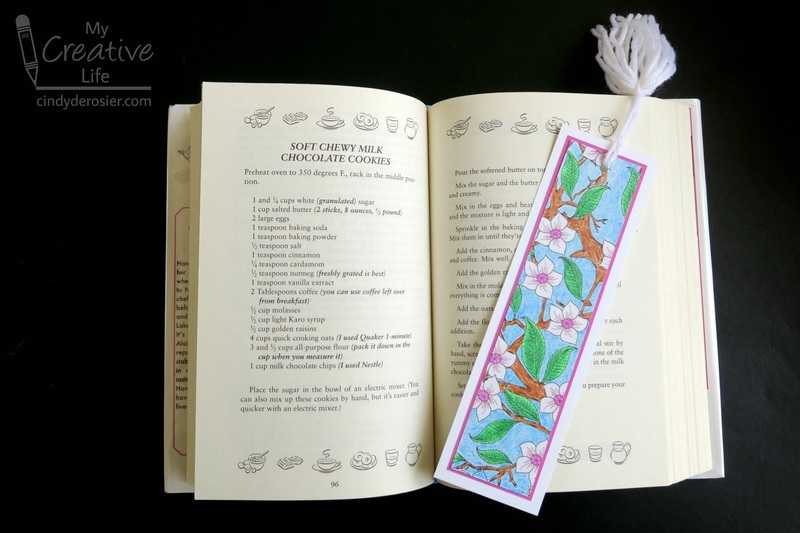 Attach the tassel to the bookmark and it is done! Another fun way to get those completed coloring pages out of the books and somewhere that you can admire them! This is such a clever idea, Cindy! I love how you can make 6 bookmarks from one page! 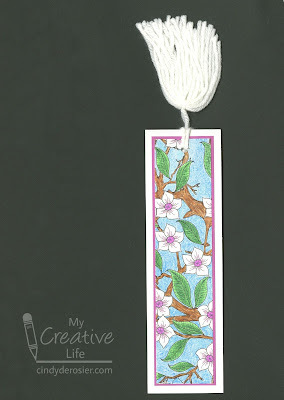 FAB and FUN bookmarks!!! !